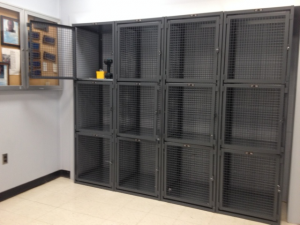 Tenant Storage Cages | Security Cages. Daily deliveries to New York, New Jersey & Philadelphia. P(888) 953-5355 or P(917)701-5795. LockersUSA ships from our warehouse facilities in New York City, New Jersey and Philadelphia. 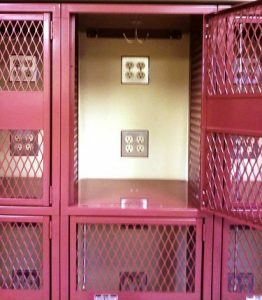 Our dispatcher lockers are all welded framed wire mesh lockers with individual compartments and welded hasps so that service technicians can pick up the materials, equipment and or tools required to respond to their calls for the day. Ideal for Telephone, Cable, Internet providers, Law Enforcement, Military, Manufacturing and distribution. Made of all welded wire mesh and frames, dispatcher lockers come with a full height doors for easy access to each compartment and inventory control. Each compartment comes with a welded hasp. Optional rear doors are available if materials will be loaded from behind lockers. If your loading employees daily work equipment and tools we can ship the lockers with optional rear access doors for quick loading and inventory control. 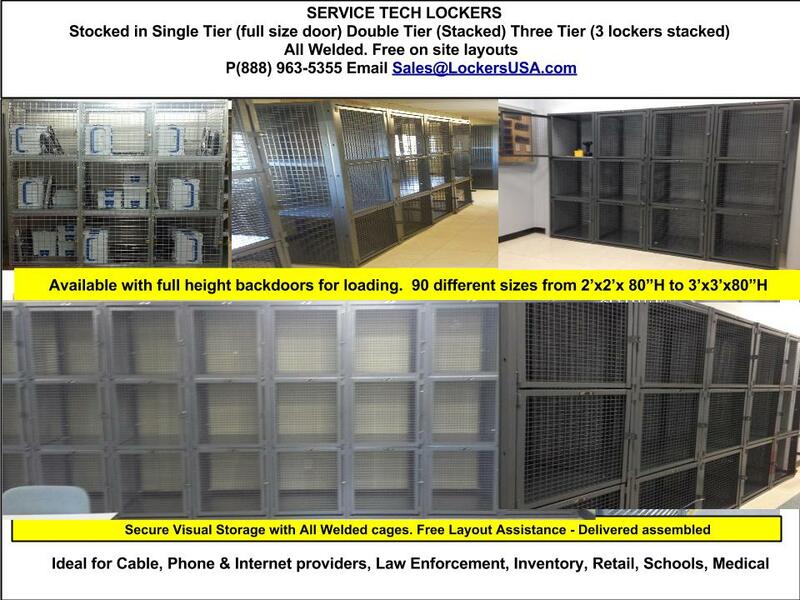 LockersUSA.com provides free on site layouts, Professional installations and Nationwide deliveries.